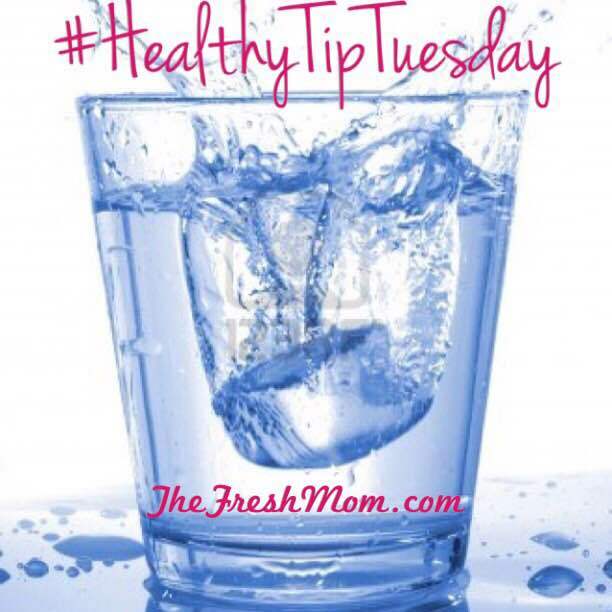 #HealthyTipTuesday: Are you drinking enough WATER? Water oh water… We have such a love-hate relationship. It’s actually my drink of choice but I just don’t consume enough of it on a consistent basis. Some days I have over the desired amount and other days I’m barely staying hydrated. During my last pregnancy one of the midwives shared a really simple and practical tip with me regarding how much I should drink. Maybe it’s common knowledge these days however it was news to me. Simply put, you should drink half of your bodyweight daily. I weigh around 110 pounds (yes I’m pretty skinny lol) so I should drink about 55 ounces of water each day. It seems like a lot but that’s only about 3 1/2 standard sized bottles of water. 1. Calculate your bodyweight in pounds. 2. Divide it in half. 3. Drink that amount of water in ounces, of course. See! It’s REALLY easy! I’m starting today and YOU should join me!! Check out this helpful article from WebMD about the importance and benefits of drinking enough water.